Workouts for the Intermediate Cellist teaches your left hand to play faster and shift more precisely. With trill studies, scale exercises, and shifting patterns, this book is a great daily warm-up for the rest of your practice session. Who this book can help: Intermediate level cellists who need faster fingers or who want to shift better in their pieces. Much of the book is in bass clef, with occasional tenor clef. 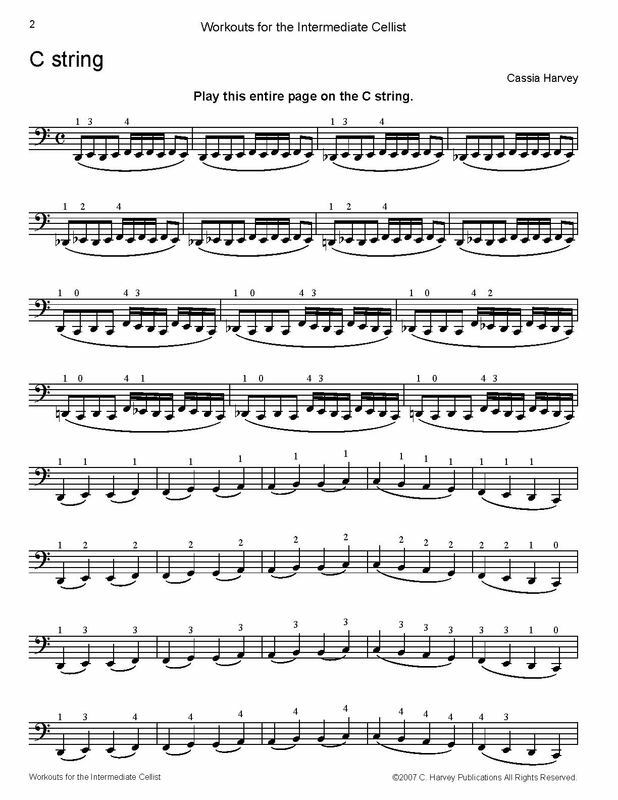 How to use this book: Play 1-4 pages at the beginning of your practice to warm up.